Vibrant Sea is a highly concentrated blend of salts formulated for marine and reef aquariums that contains all essential major, minor, and trace components found in natural seawaters, plus the added advantage of enhanced potassium levels. 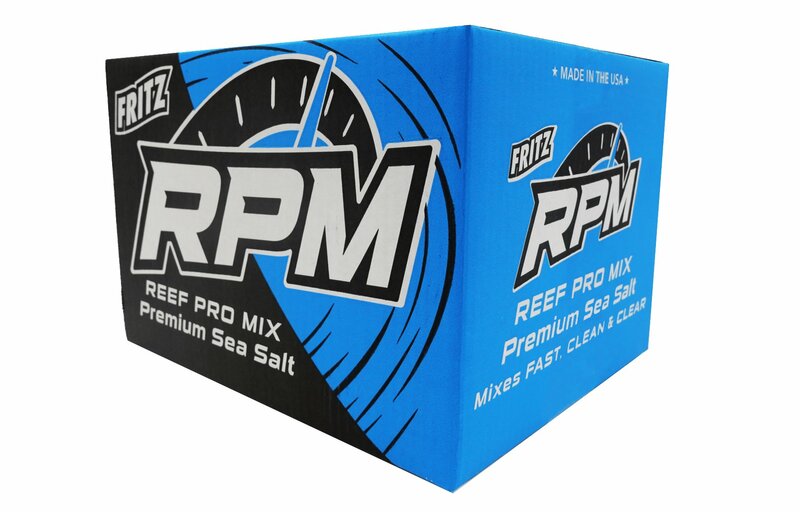 Its formulation is ideal for the reef environment and will provide accurate seawater concentrations of magnesium, calcium, and strontium with proper alkalinity and pH for closed reef aquarium systems. 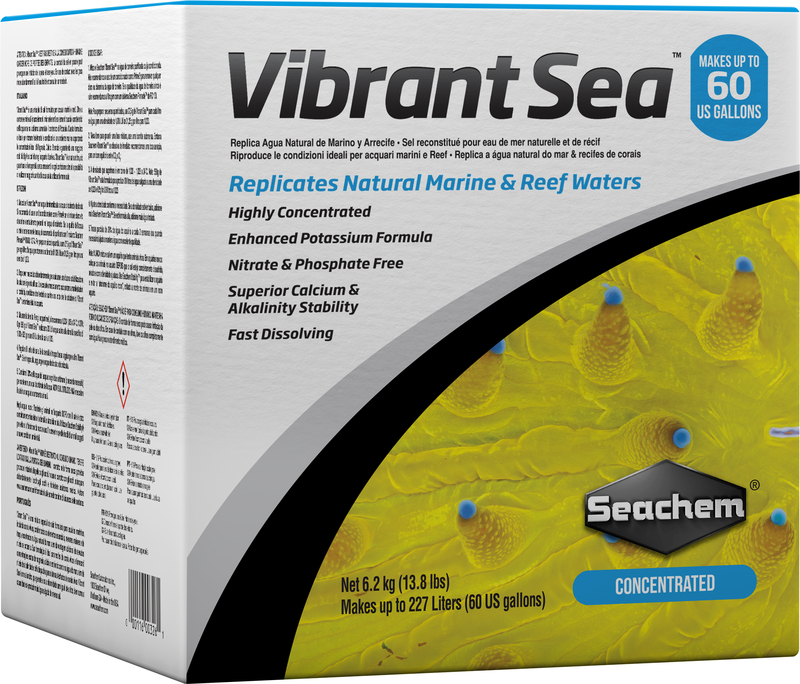 Vibrant Sea is an anhydrous salt, which allows for unparalleled uniformity from batch to batch as well as the ability to produce more saltwater from less salt. In addition, it is highly soluble and can mixed and used in the same day. Mix Vibrant Sea with dechlorinated tap or purified water. We recommend the use of a commercial dechlorinator like Prime, AquaLife Complete, or AquaLife ProCondition Reef to neutralize any tap water chlorine and/or chloramines. If source water quality is extremely poor we recommend purification with a RO/DI system. NOTE: To prepare small quantities, add 27 g of Vibrant Sea per 1 liter of water for a specific gravity of 1.020. Add 31 g per 1 liter for 1.023. For larger quantities, use 1/2 cup per 6 L (1.58 US gallons) for a specific gravity of 1.020 or 1/2 cup per 5.25 L (1.38 US gallons) for 1.023. Stir well until thoroughly dissolved. Vibrant Sea is then ready for immediate use. Excessive mixing may result in cloudiness. Cloudiness will dissipate when the Vibrant Sea solution is added to the aquarium. Measure specific gravity. For reef aquarium 1.020 – 1.025 at 24°C (75°F) is recommended. NOTE: 540 g of Vibrant Sea is formulated to create 20 liters of saltwater at a specific gravity of 1.020 and 620 g will create 20 liters at 1.023. Adjust salt level accordingly. If specific gravity is too low, add more Vibrant Sea. If too high, add more dechlorinated or purified water. Change 20% of aquarium water every two weeks (or as necessary) to maintain optimum water quality.